Northumbrian Earth, reading Northumbria's rocks. Geology, Geo-walks, Berwick, Northumberland. Have you ever wondered what has shaped the landscape here ? Northumberland and the Borders have a treasure chest of rocks telling so many different stories in a landscape of extraordinary beauty. Northumbrian Earth has been set up to explore and tell these stories, to the local communities, to visitors and to businesses. 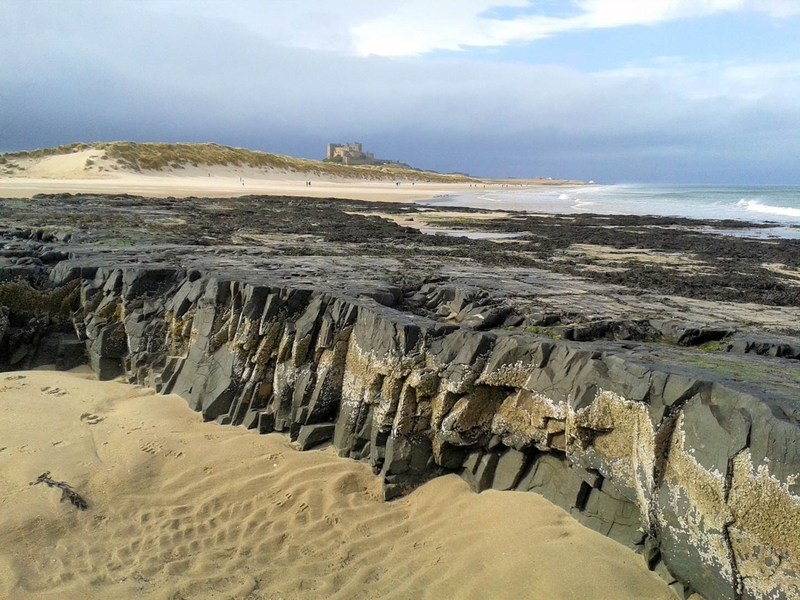 You can explore these stories, walking out into our beautiful coast and countryside, and looking at the rocks in the company of Dr Ian Kille, an expert and enthusiast on all things geological. To get you going for 2019 here is the list of events which have been put in the Northumbrian Earth Diary so far. Just follow the link to the PDF . You can also find the geodiversty walks published in the new Northumberland Coast AONB Visitor Guide which is well worth a look at. Do put the Northumbrian Earth events for 2019 into your diary! The rocks in Northumberland and the Borders are ancient. They are as rich in interest as those of the Dorset coast but much older and speak of a time when amphibians and giant insects were the height of evolution. By looking at the cycles of rock on the coast we can build a picture of seas filled with corals, sea lilies and brachiopods and vast deltas including swamps crowded with giant tree ferns. 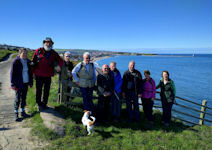 Come and join one of Ian's regular walks and start exploring this ancient world. Bamburgh Castle and Lindisfarne Castle sit on top of black crags which are all part of the Whin Sill. Along the beautiful exposures of this unique feature on the coast we can look at how this vast slug of molten rock was injected between the sheaves of sedimentary rock. Away from the coast the grand range that is the Cheviot marks the bare roots of an ancient volcano. Geology gives a wonderfull perspective on things. It was a local rock hero James Hutton who used the rocks at Siccar Point to show the enormity of time required to allow geological processes to build the sequences of rocks we see. In this 4.5 billion year history we find the evidence to show how the amazing fluidity of the earth's mechanism works. 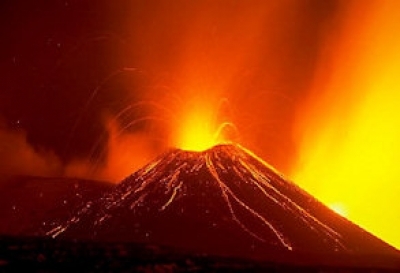 We can discover how this mechanism allows continents to track inexorably across the globe, colliding and reforming with all the consequent volcanoes and earthquakes, folding and faulting, melting and squeezing. Starting from the rocks beneath our feet in Northumberland and the Borders we can explore the evidence.